At A Child of The Jago’s SS13 informal presentation, held in the atmospheric House of St Barnabas on Soho Square, it was a packed house of fashionable men, old East-End gangsters, Shoreditch hipsters and some well-heeled dragon ladies. It was an affair reminiscent of a seedy Victorian salon were it to be attended by a merry band of “Jack the lads” and their moll. 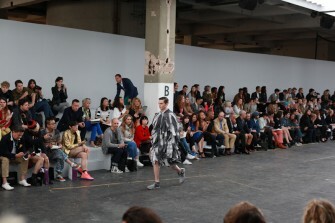 Joe Corre and Simon Barnzley Armitage showcased a refined collection of vintage inspired suiting. 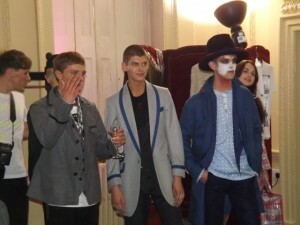 The strutting young cockney peacocks used as models for the presentation were clearly tipsy, which only added to the flavour of the affair, a fun, laid back showcase with an underlying sense of decayed glamour, fitting given what the brand has become known to represent. 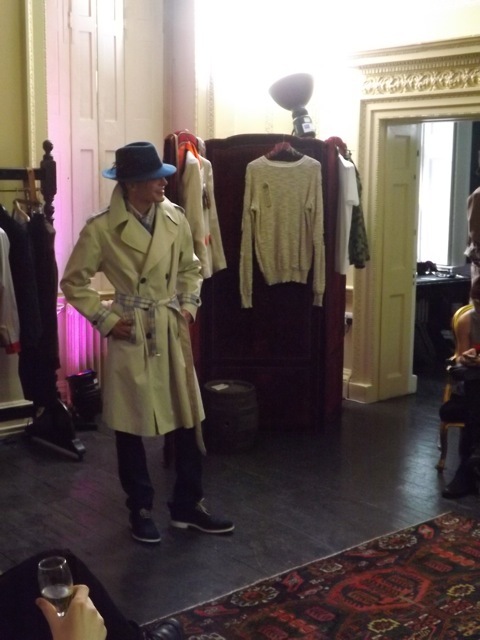 Particular favourites included the belted trench coat with a blue check trimming, and the 3/4 length “spiv” jackets with contrasting piping. The modern Edwardian style cuts were a mature offering from a Child Of The Jago, a lean towards a more traditional sense of style that still retains the brands trademark sense of anti-establishment through details such as scribbled upon fabrics. 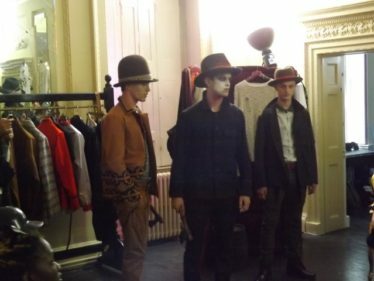 Fedora hats complimented the collection masterfully. 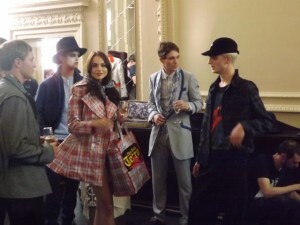 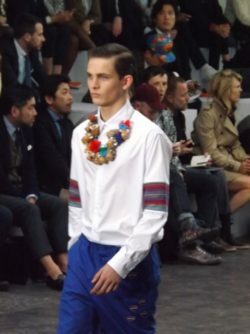 Saturday of London Collections saw a show that for many has become one of Fashion Weeks main events. 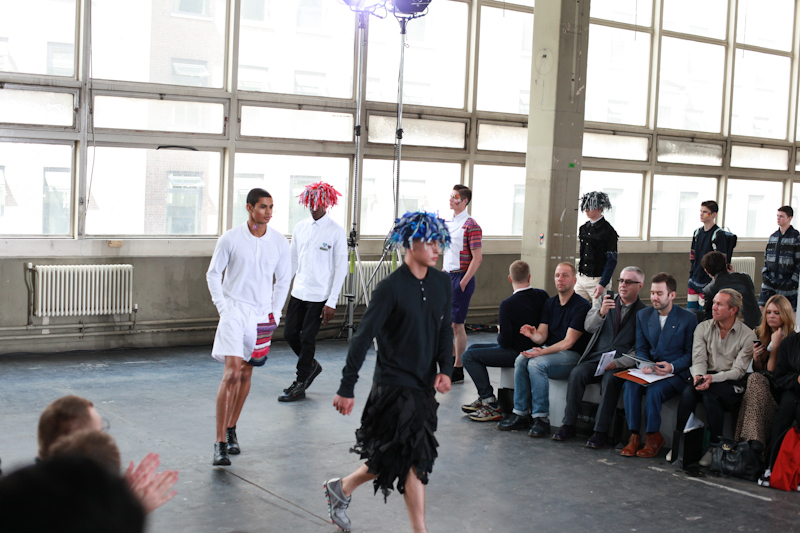 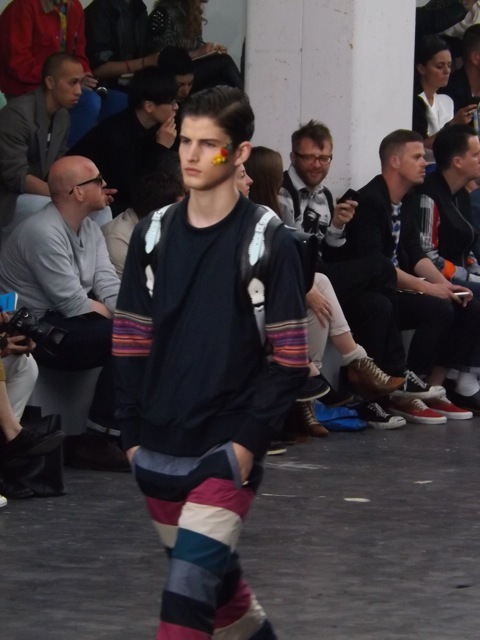 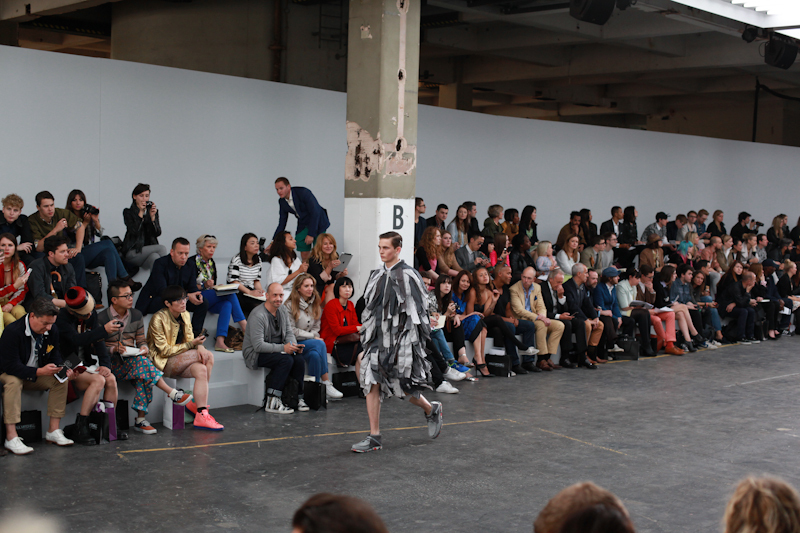 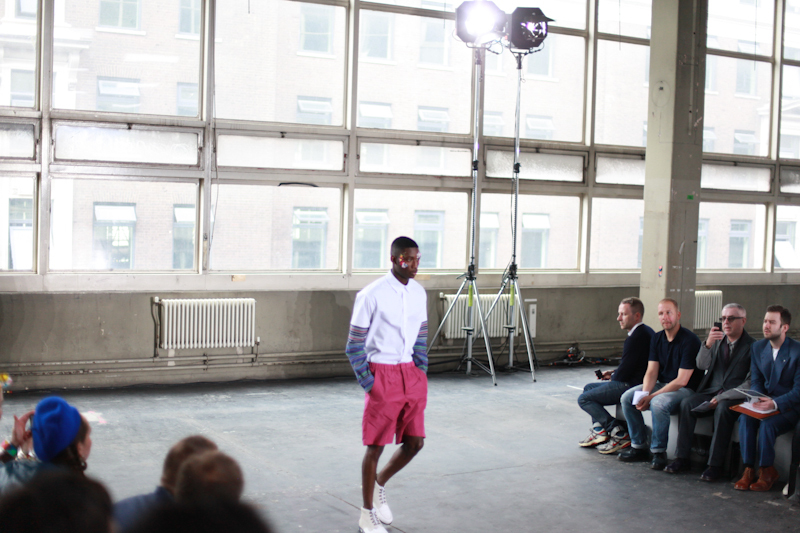 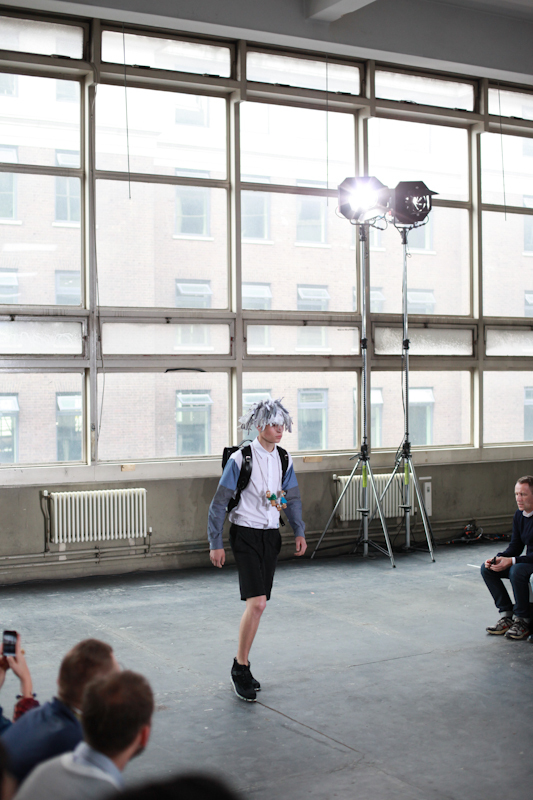 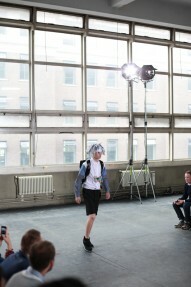 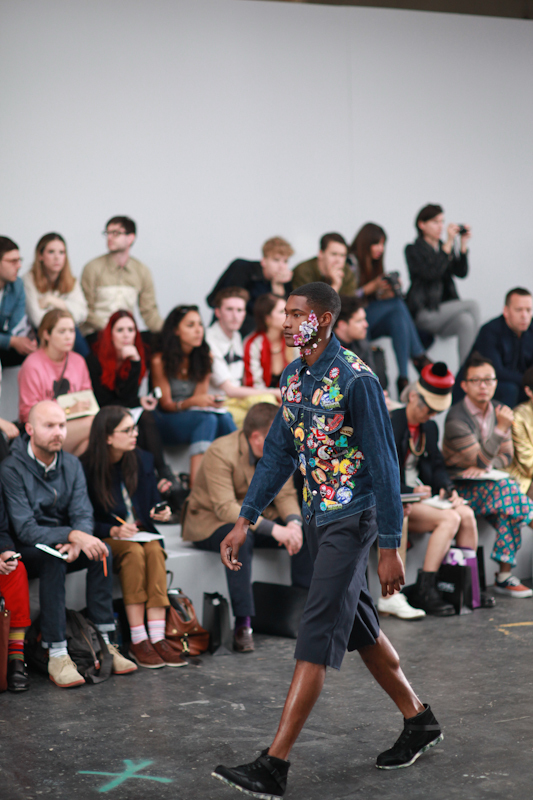 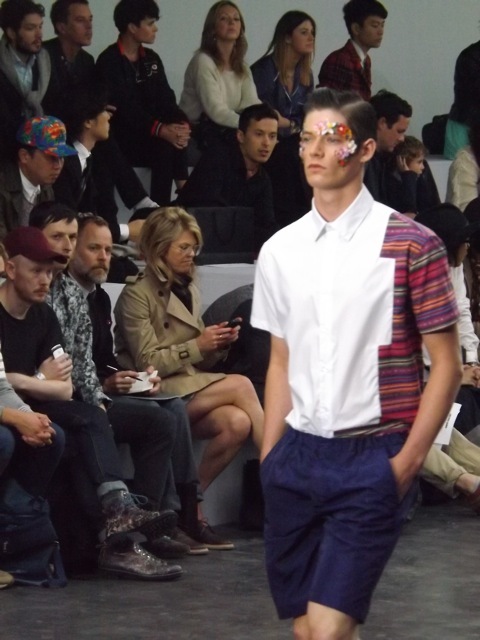 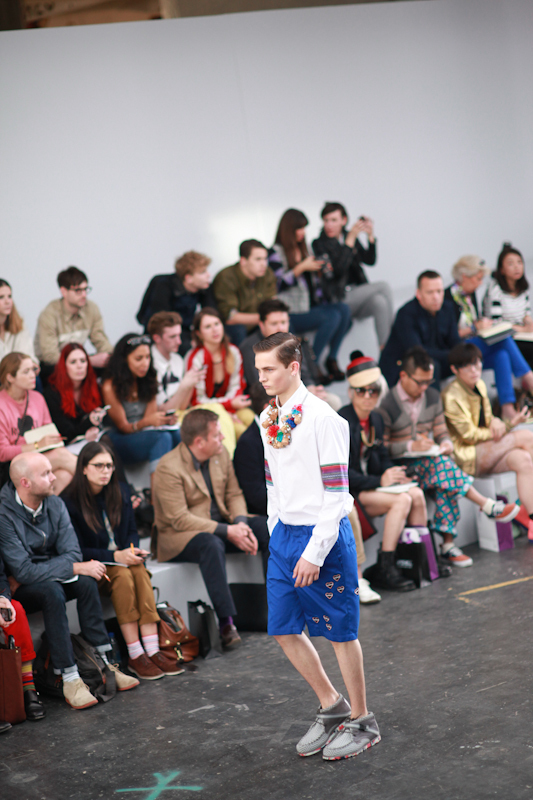 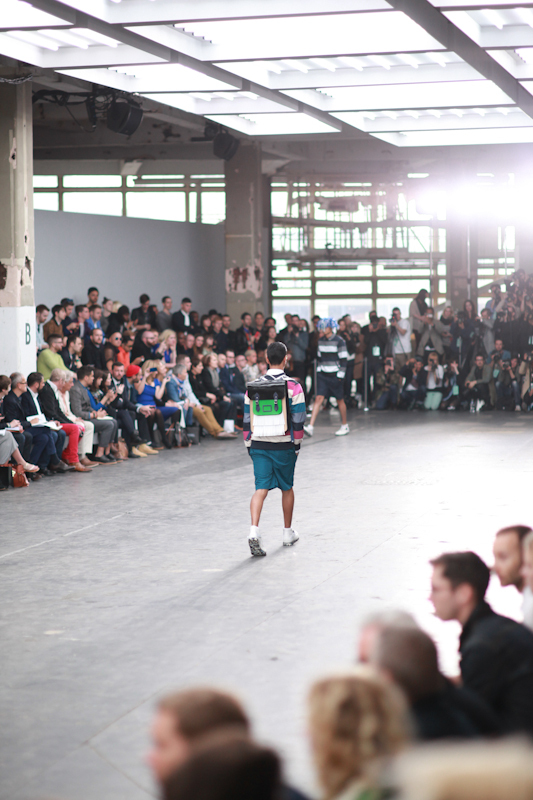 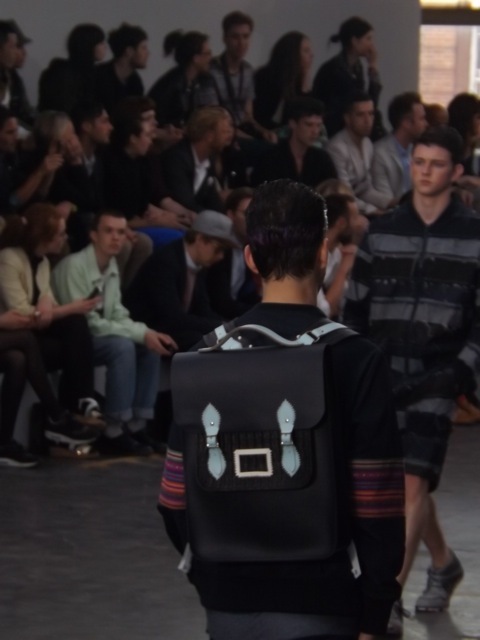 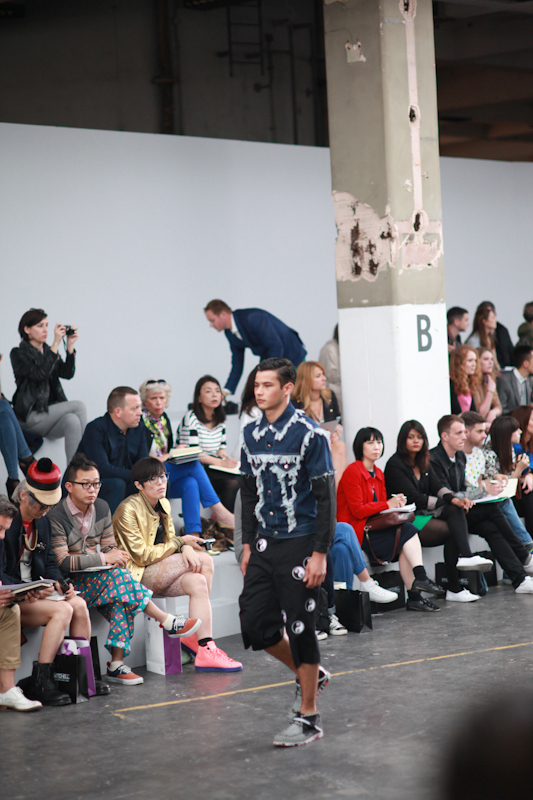 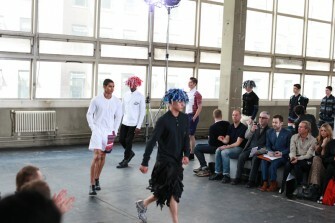 In the Topman Showspace, wunderkind Christopher Shannon’s SS13 Collections was as always, sublime. 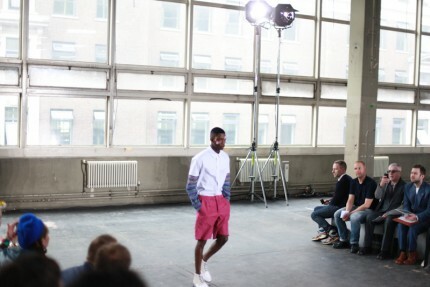 Shannon is a designer well known for sticking to his guns and his own unique vision and his SS13 was an ultra-modern take on luxury streetwear. 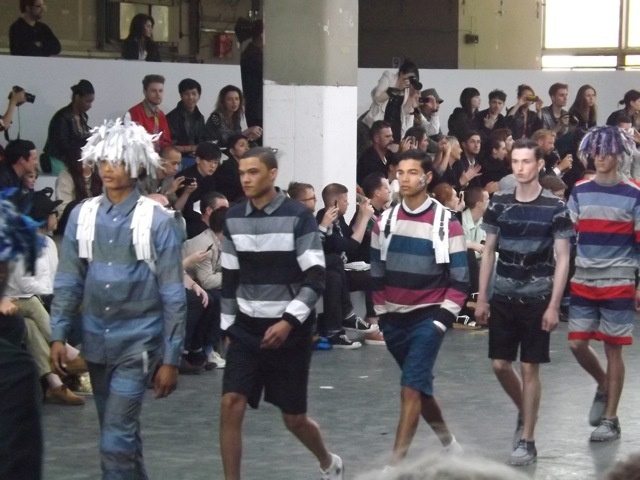 Shannon sent down the catwalk models bedecked in fringed shorts, his trademark panelled shirts and jackets and plenty of slashing alongside more traditional looks of tailored knee length shorts paired with crisp shirting. 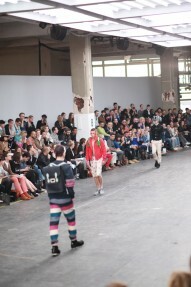 A particular standout look was a bright red jacket worn open by a bare-chested back satchel (part of the designers collaboration with Cambridge Satchel Company) sporting model, teamed with polka badged khaki shorts. 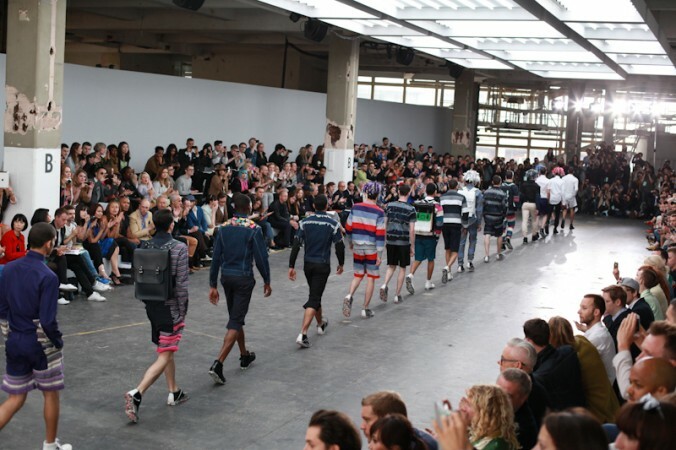 Christopher Shannon, alongside fellow UK designer Katie Eary, proved once again that it is most definitely London who now own street wear. 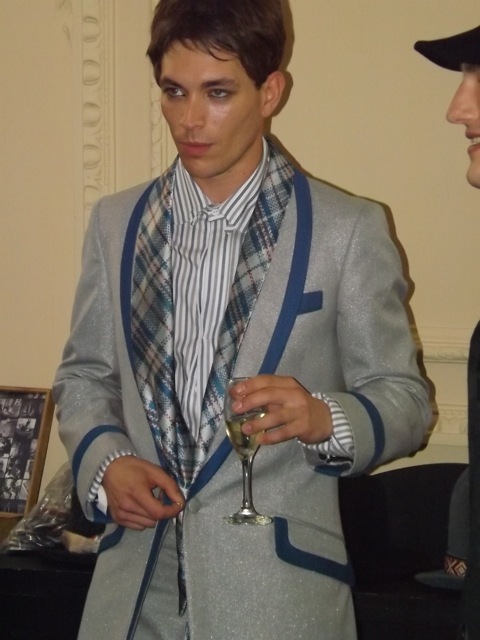 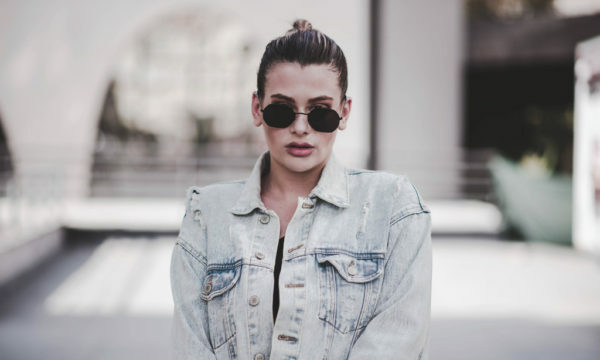 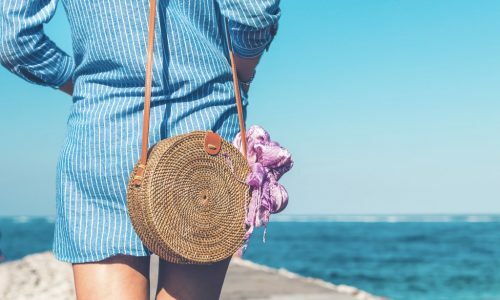 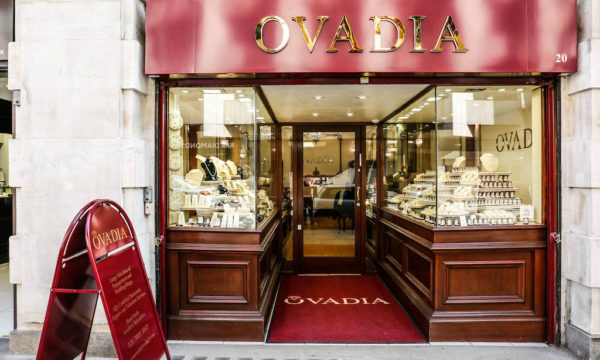 They possess a unique and innate ability to give a style that is so classic and so common, a different edge that is both alluring and exciting. 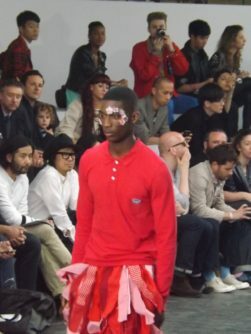 Jeremy Scott, watch your back.